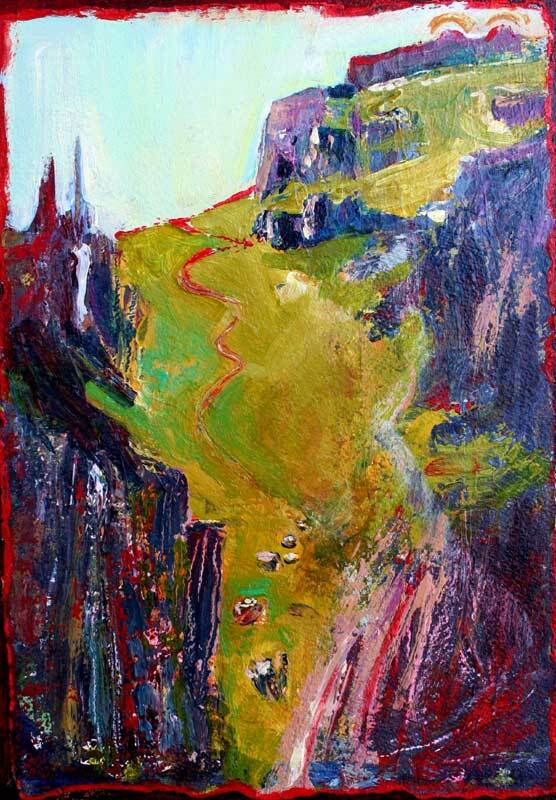 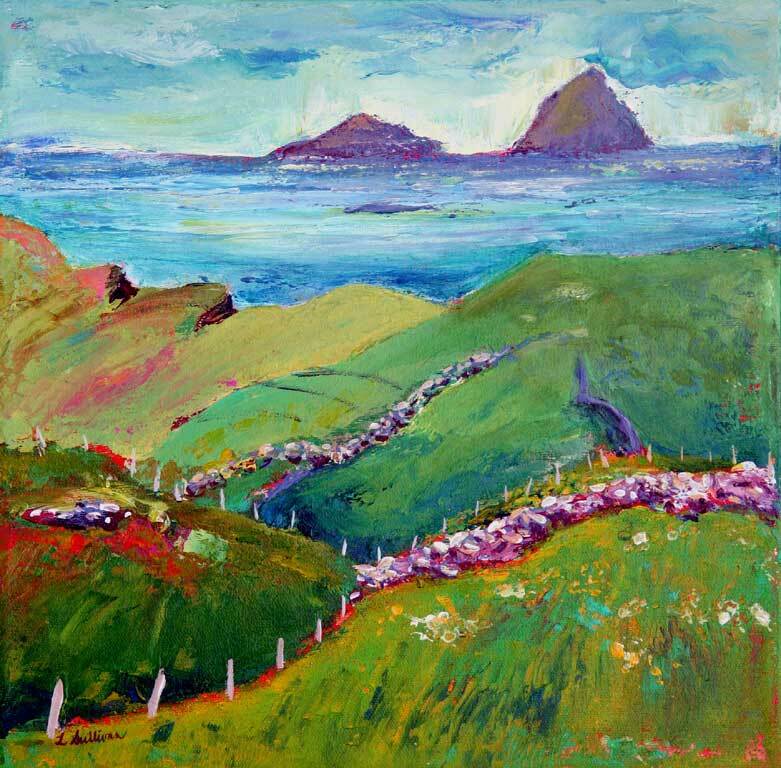 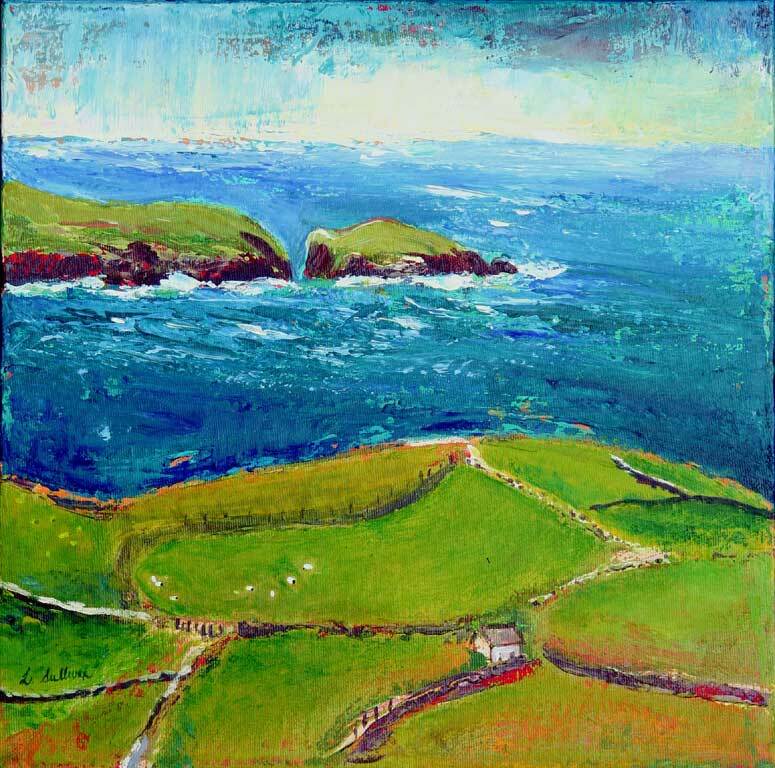 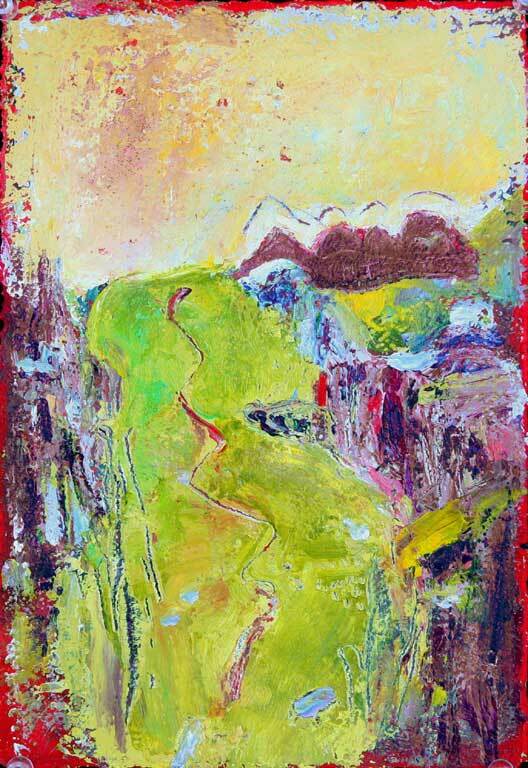 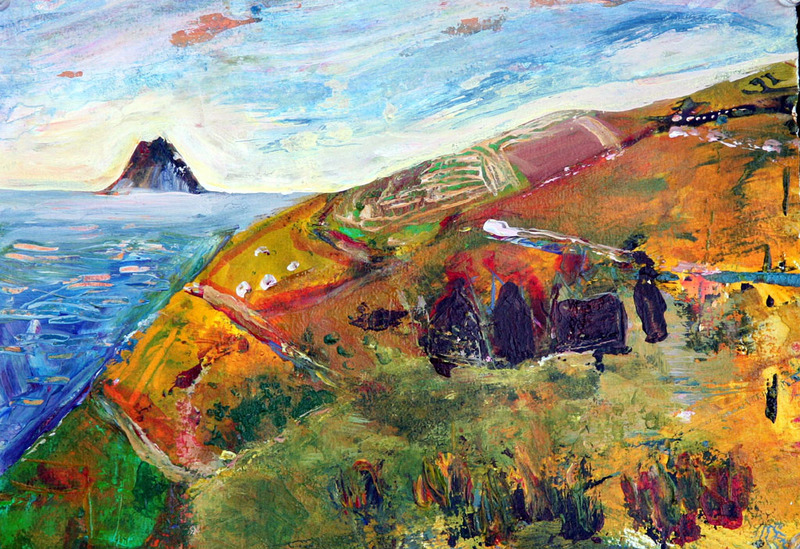 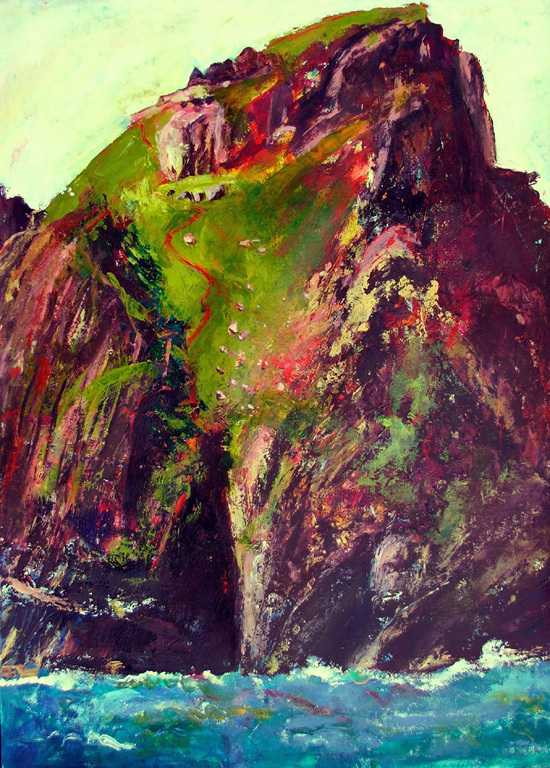 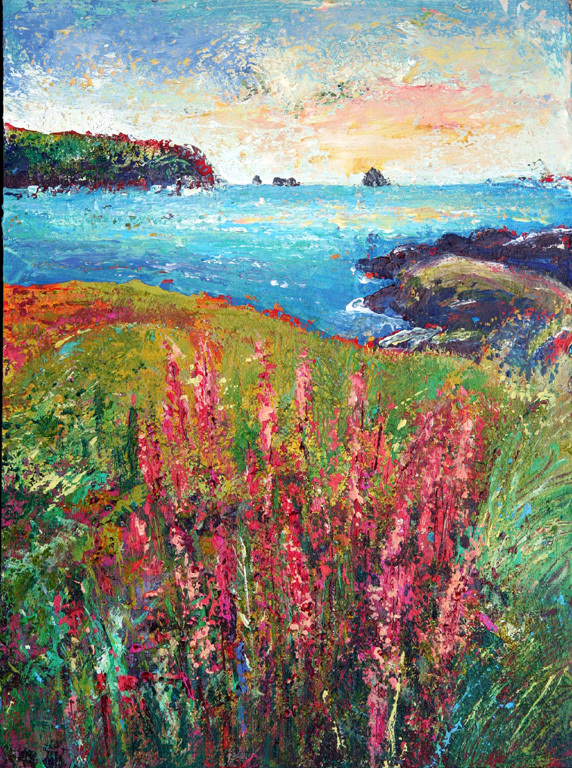 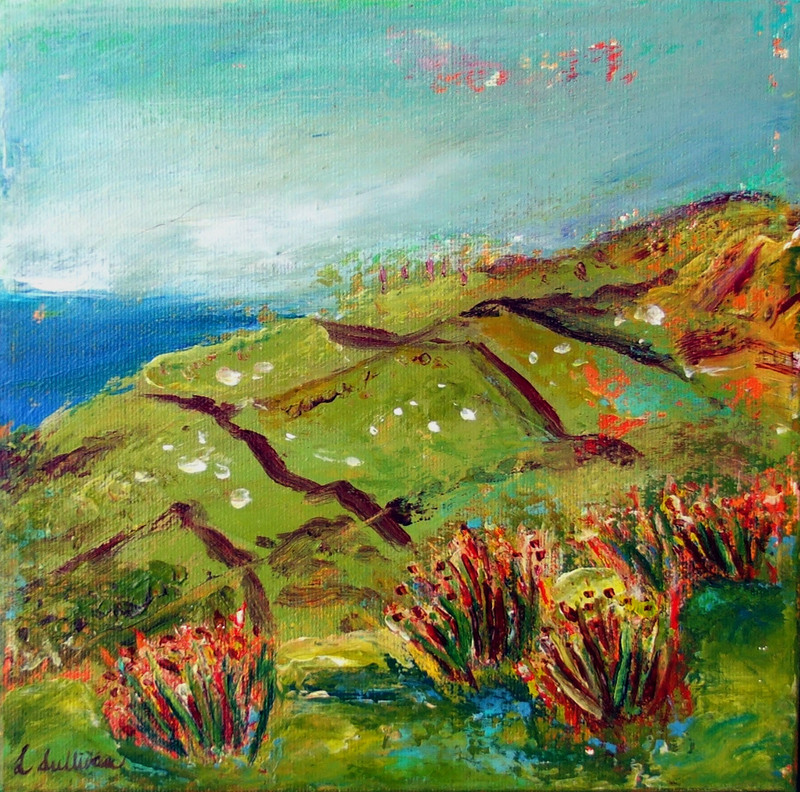 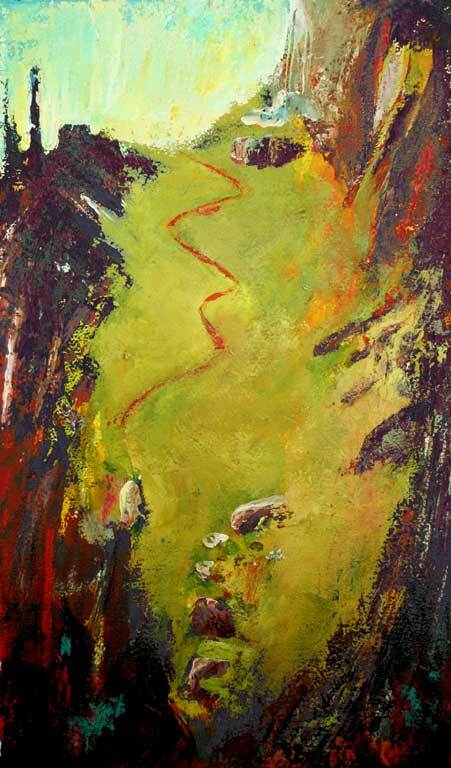 In May 2008 I returned to Cill Rialaig, Ireland, an international artists’ retreat in a restored pre-famine village. 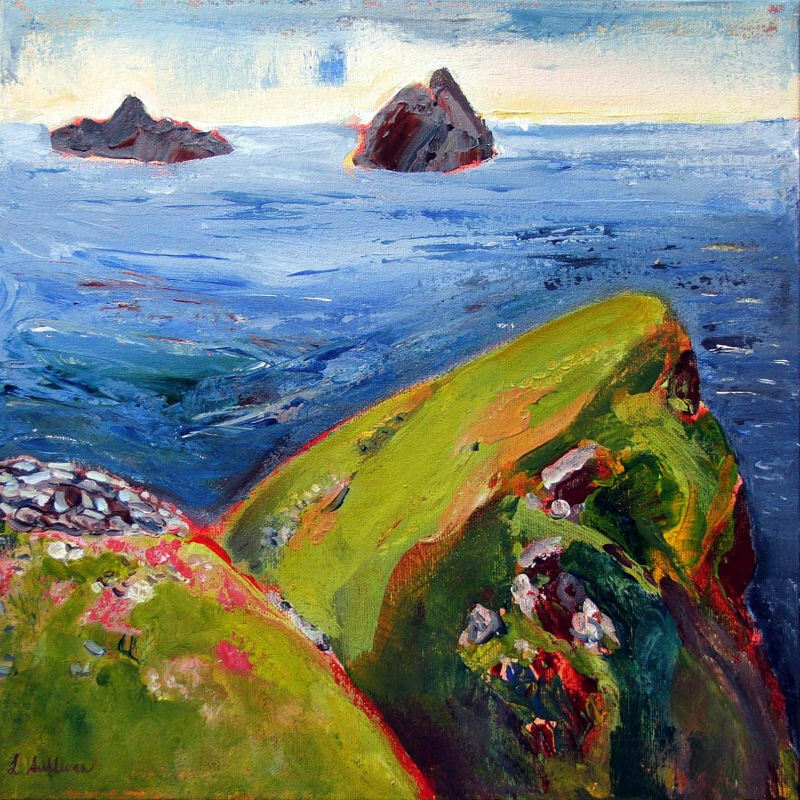 My ultimate goal was to visit Skellig Michael, a precarious island, 8 miles from the mainland, to search out the unique site of a 7th century Monastic complex. 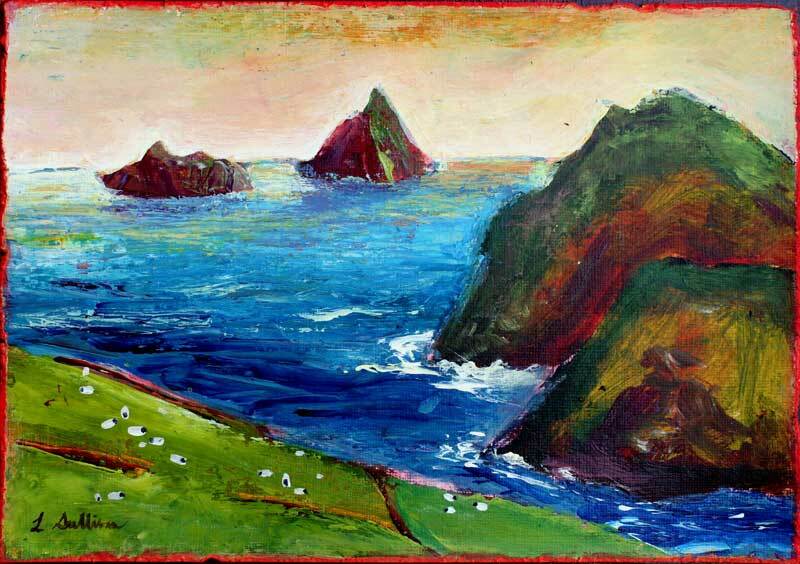 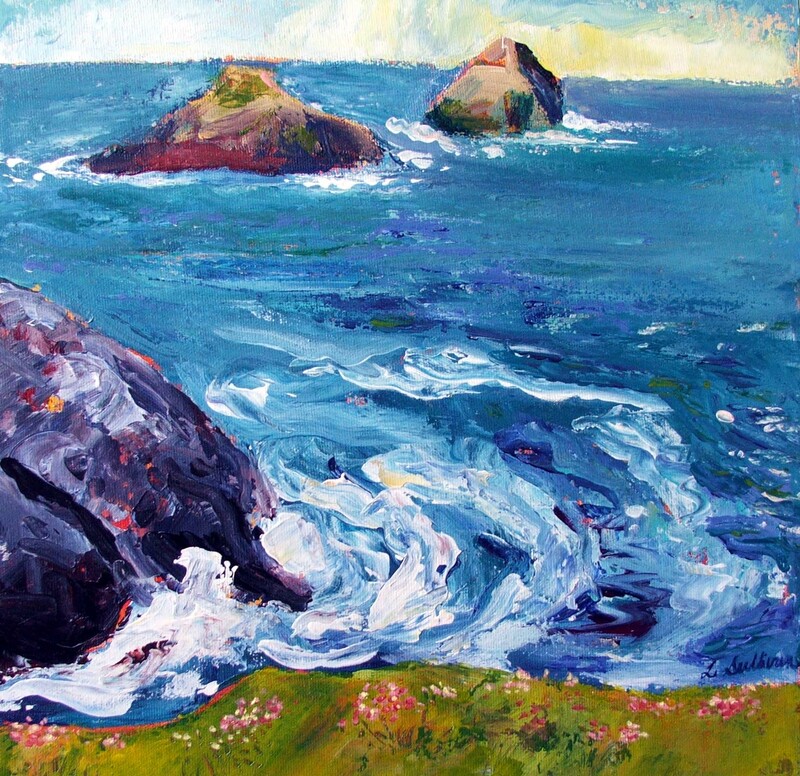 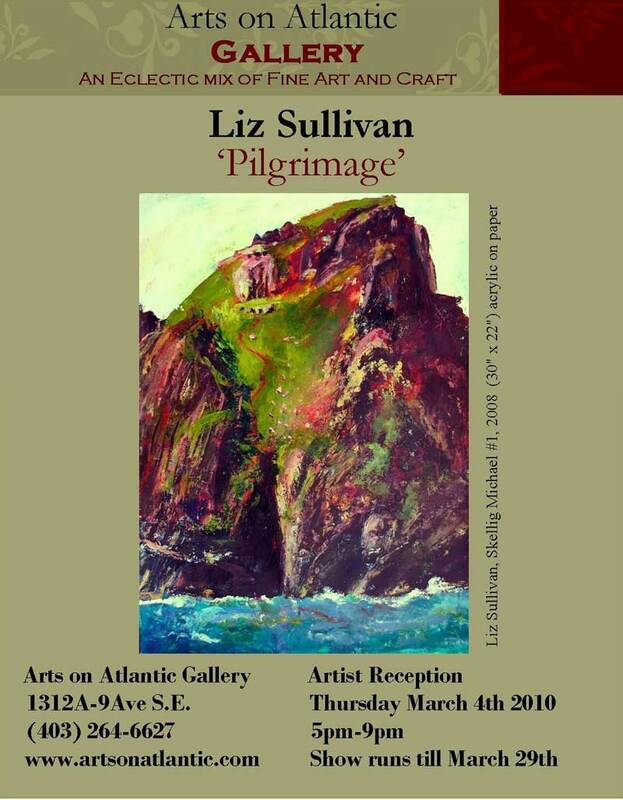 My landscape paintings depict the journey to this Unesco World Heritage site with 1) seascapes, 2) the island ascent and 3) the monastery itself .